The Consumer Electronics Show (CES 2018) is just a few weeks away and this show always seems to set the focus on various topics each year like Smart Cities, etc. We will be attending for the day on January 10th in Las Vegas. I am hoping to see more focus on consumer geographic proximity awareness public safety services and software. Smart cities have been a hot topic of late and I think cities would be smarter if Local, State and Federal bureaucrats & agencies focused on these safety issues. 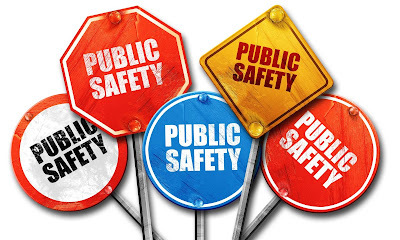 Public safety can be a politicized topic and the reason I have called out the concerns of "ordinary people" is because most government officials don't always focus on what really matters to most of us and often have conflict with donations and public agency agendas. Here are our top public safety concerns based on the search 6,000,000+ visitors we receive on a annual basis to our public safety maps. 1) Road Safety - More people are killed in car, pedestrian and bike accidents each year in the United States. Wouldn't you like to know where most of the accidents are occurring? The 80/20 rule applies to car, pedestrian, bike & train accidents in most cities. BadIntersections.com has the data that public agencies and navigation app companies should be using to warn drivers and pedestrians of the potential hazards. PhotoEnforced.com is a complimentary database of traffic cameras, red light cameras and school safety cameras. If you are in an accident you might want to subpoena the video from the City for insurance purposes. 2) Safety at School - School violence captured on video seems to be at an all time high. Violence and fights have always occurred at school but now it seems to be glorified similar to MMA. This is a concerning trend for the future of our educational systems and all parents should be aware if violence at their children's school is a problem. DangerousSchools.com is a map database of hazardous intersections near schools as well as a database of schools that have a track record of violence. See our Dangerous Schools YouTube channel. 3) Safety at Home - More & more people are becoming aware of the public safety risks that big industries like oil and gas drilling, refining and power generation pose on our environment and local air & water quality. This concern is reflected by home prices in areas that have heavy industry activity. DrillingMaps.com, RefineryMaps.com, and PowerPlantMaps.com tries to help real estate buyers and sick home owners with cancer and related illnesses to better understand the health and safety issues going on around them with the growing trend of fracking and urban oil & gas drilling. 5) Cell Phone Coverage - How many times have you been driving in a canyon, hilly, wooded area and found yourself with zero cell phone coverage? What would happen if you found yourself in an emergency and couldn't make a phone call? Have you had cell reception at your home and now suddenly have none? These are all trends that are not discussed in the media as carriers have sold their cell towers and are only concerned with shoving more data down your throat. Carriers lack any local competition thanks to the FCC and seem to care less about helping you make a quality phone call anymore. Deadcellzones.com is a database of coverage problems reported by mobile phone users. Why are we aggregating and crowdsourcing this data? We would like companies, governments and to developers use (license) this data alongside other services to help people live live healthier and safer lives. Map, directions & buy tickets to NHL, AHL, OHL, NAPHL, AAA, WHL, ECHL, USHL & College ice hockey games. Find indoor and outdoor ice rinks throughout United States & Canada. Search for ice rinks near you. Find AAA Jr. Teams. 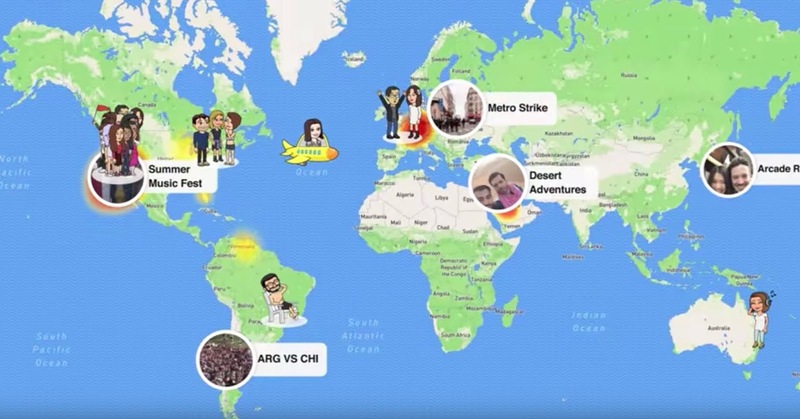 Should Snapchat Should Buy A Mapping Company? I think if Snapchat bought a mapping company it would boost its stock price and long term product vision? SNAP stock price is down 20% since the IPO and I think the product is not user friendly enough. Social media companies like Facebook and Twitter still have done a poor job of using maps to help their users communicate. Snap has a real opportunity to do something different in the mapping space that is still fairly underserved in social media. Google+ could have used maps in their product as well and they blew this opportunity. 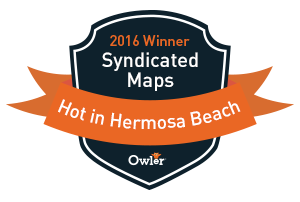 There are so many small mapping companies that could help them build an amazing product. Who has used Google Crisis Map? This map doesn't seem very well known or widely used or sourced by the public or news media? The data on the map could potentially save your life especially if you are traveling to an area that you are not familiar with. Knowing the details of what is going on in that area can be incredibly valuable. I don't think weather apps and websites convey this information properly consumers on a map such as: fires, air quality, tropical storms, potential flash floods, tornadoes, wind, hail, volcanos can save your life. I would like to see a lot more public safety data added to this map like cell phone coverage and hazardous locations. Here is just some of the data that Google Crisis Map aggregates below and the source of the data. Still testing the platform so we appreciate your feedback and suggestions! What Is The Best Data Marketplace or API for Selling / Sharing Map Data? Does anyone know what the best data marketplace is for selling / licensing geospatial map data? I have been looking for resources like this for years. Google Maps Marketplaces was developing a product like this and then scrapped it just to integrate this data into their Places product. ESRI has a marketplace to showcase data but there is no transactional engine to actually license the data. MapBox has a large map developer community but does not seem interested in creating. Carto seems like they could be the best company to make this happen with their data analysis products. Open Street Maps is an "open" platform of data but doesn't have a premium solution for developers like us who have worked for years to aggregate data sets to be compensated for data licensing. The map market needs a solution where any data provider can upload or use a hosted map. This data is then accessible via a map API by other developers and users. The usage of the data is tracked and then billed directly through the system. Please let us know if anyone has such a solution. Google Removes Its 'Last-Look' Auction Advantage. The "last-look" advantage Google’s ad server gave to Google's ad exchange so bothered publishers and exchanges that it gave rise to header bidding. As of this week, that advantage is no more! Previously, AdX would wait for all those other exchanges to submit their bids, and then give itself a chance to outbid the winner. So if Google’s exchange had two bids of $1 and $5, it would be able to beat a $4 bid from an outside exchange. Under the new auction rules, it would submit a bid of $1 (the second price) and lose the auction. Here's how the programmatic auction will work: All EBDA exchange participants – including Index Exchange, Rubicon Project, PubMatic, Sovrn, Smaato and Gamut – submit their final bids. The DoubleClick AdExchange (AdX) also submits its final bid. And the best price wins. Read more. 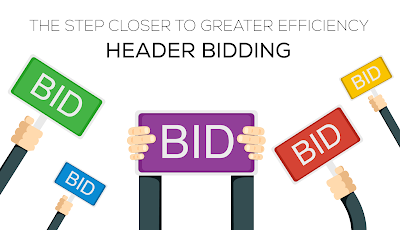 What is the Best Header Bidding Solution? We get emails daily from ad networks or people who say they are an ad network offering solutions to raise CPM's. As a small publisher it is very difficult to understand what ad networks actually offer a competitive service to Google Ad Sense. What is the best header bidding solution for a small publishers? Is it better to go with multiple ad networks or just one like Appnexus or Pubmatic? Over the last 10 years I have watched our traffic increase steadily by 15%+ per year. However, our advertising revenue from Google and Media.net has stayed fairly flat and not increased much at all. Is this because Google is continually taking a bigger piece of the revenue share? We have heard that header bidding is a solutions that can increase CPM's by 2x or 3x depending on the traffic. Is this true for someone is a niche map crowdsourcing publishing space? Please email me if you have a solutions or suggestions.